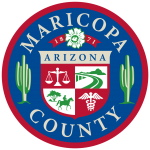 CourtTrax Corporation is pleased to announce the oncoming return of access to Maricopa County, Arizona Superior Court Records! Changes at the court had temporarily disabled our ability to access the data, but we have since upgraded our system to accommodate for those changes. The Maricopa Superior Court serves the over 4 Million residents of Maricopa County and provides Civil, Family, Probate, and Criminal case information for public access. CourtTrax users will once more have the ability to conduct name and case number searches for Maricopa County and, as with all CourtTrax searches, save the results to their CourtTrax account should the information need to be reviewed in the future. The re-release for Maricopa County, AZ access will take place on October 1st, 2017. If you would like to be kept up to date on the re-release’s progress, or have any other comments or questions, please contact us at 866-643-7084 or customerservice@courttrax.com.